Generally, if you think of chicken parmesan, you don’t think of the healthiest, diabetic friendly meal, right? 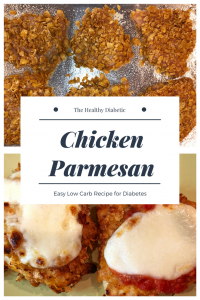 This is such an easy, healthy chicken parmesan recipe, you will want to make it a weekly staple. 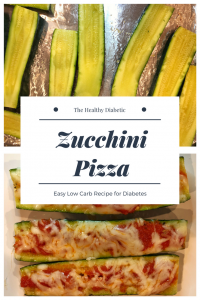 In addition to being healthy and easy.. perfect for us diabetics, it is family friendly. 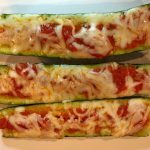 My kids gobble this meal up. 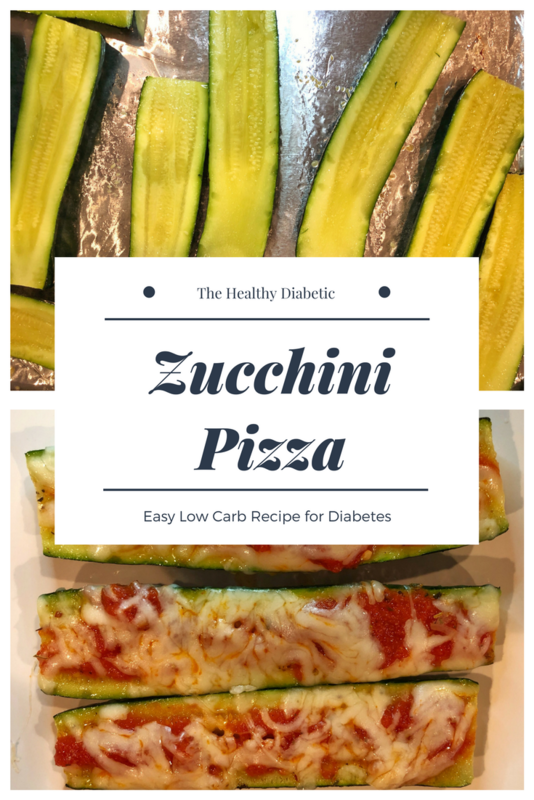 Sometimes I serve it with a simple salad, the other night, I served it with zucchini boats (aka zucchini pizza), another way to help us all eat our zucchini. 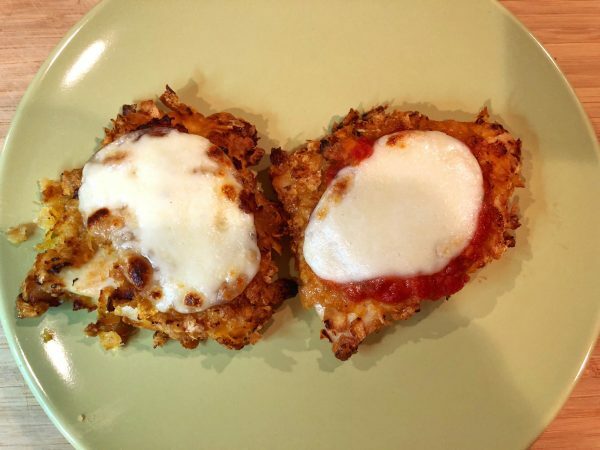 This is such an easy, healthy, baked version of chicken parmesan that the whole family will love. 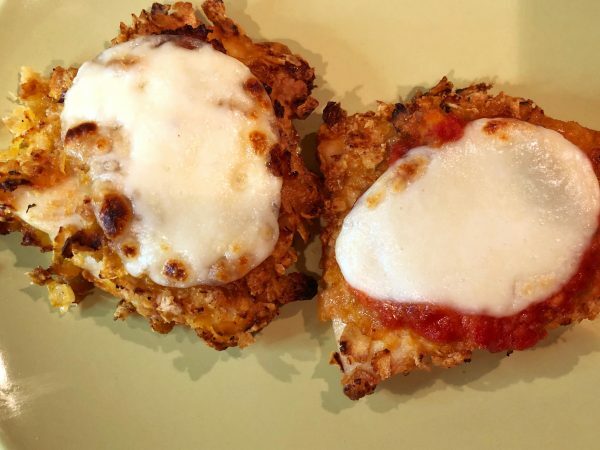 This chicken parmesan recipe is simple and healthy!! Can't beat that!! Add eggs & 1/8 cup of water to a bowl. 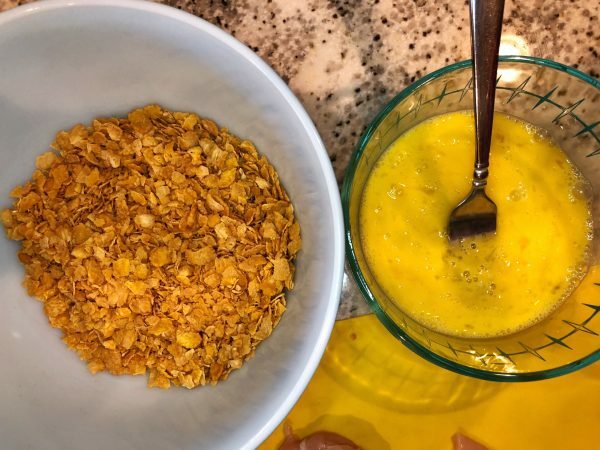 Mix together to form the egg wash.
Add corn flakes to a large bowl and use your hands to crumble the flakes into smaller pieces. 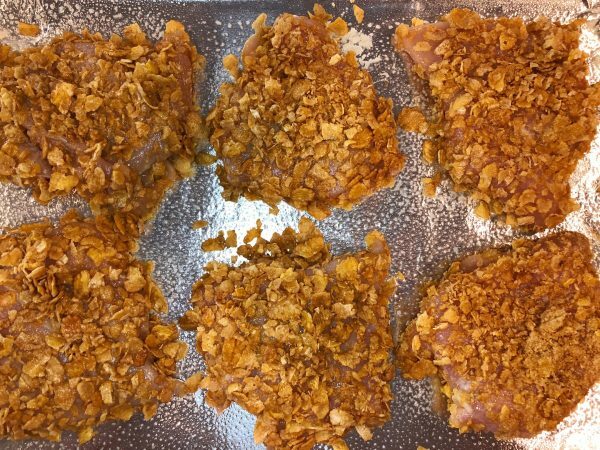 Dip the chicken portions into the egg wash and then dip the chicken in the corn flakes to cover completely. 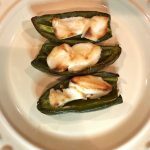 Add chicken pieces to a sheet pan sprayed with cooking spray. 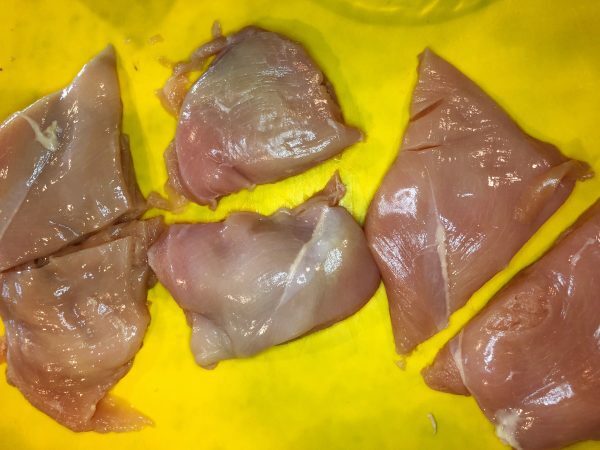 Use cooking spray to spray the tops of the chicken pieces. Then sprinkle the spices on the chicken. Spray with cooking spray again. Bake for 25 minutes or until chicken is done. Add sauce or pesto and fresh mozzarella. 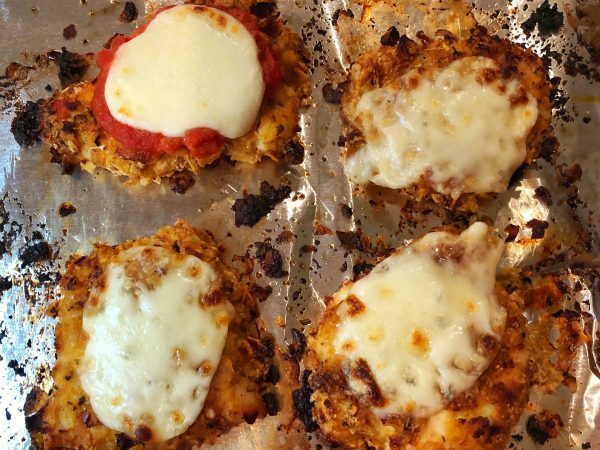 Return chicken to oven for cheese to melt. I absolutely “ Love” the turkey meatball recipe.